When we read much of the P rophetic literature in the Old Testament we must pay attention to the concept of multiple meanings. In fact – much of Scripture speaks not only to those who were alive in that day, but also to us who have lived afterward (up to our current modern times). While this can be encouraging when reading about Jesus telling Nicodemus that he must be born again (John 3) – it can also create some problems when trying to interpret what the prophetic words are actually speaking about. In the tiny prophetic book of Joel we see this Law of Multiple Meanings at work. Joel is one of the many prophets who were called to warn Judah of impending judgment. They had already seen their sister Israel (10 northern tribes) be led into captivity by Assyria… and now God was trying to get them to learn from that example. Judah would have none of it. This impending invasion by Babylon was spoken of using the metaphor of an army of locusts in Joel 1:4. Each stage of growth in the locust is mentioned as a “wave of a great nation” (Joel 1:6). As we are well aware now, Nebuchadnezzar will lead his armies to crush tiny Judah in his conquering of the world. The Babylonian army was vast and powerful – stripping the landscape (just like wave after wave of locusts). But the locust metaphor is ONLY to be understood as Babylon. It also refers to heartache, pain, suffering, lost lives of humanity. Satan (mentioned as a Whore of Babylon in Rev 17) has swept across the landscape of humanity and stripped us bear. He has left nothing in his wake… devouring everything as the great Seed Devourer he is (1 Pet 5:8). He destroys and consumes in a seemingly unstoppable force. If left unchecked, he will strip the land clean. BUT – as Joel goes on to tell us, God has plans to “restore the years the locusts have eaten” (Joel 2:25). A time is coming when Israel (and us) will be saved from the destruction of the Devourer. This refers not only to the great victory of Jesus on the cross, but also to the end of time when He will return on a white horse to destroy Satan once and for all (Rev 19). Joel predicts that the locust, the worm, the beast who has been stealing, killing and destroying God’s people for countless generations will be fully dealt with just like a locust is crushed under the heel of a boot. God will restore back to His people all that this enemy stole from us. This was done on the cross… but it is also being done today. Have you received the Holy Spirit yet? As we begin to close in on the end of the Old Testament, we enter the words & warnings of various Prophets who were sent to both Israel (AKA Ephraim) and Judah in an attempt to get them to turn from their sin and back to the Lord before disaster struck. Unfortunately, as we have seen over and over now, the people did not listen. They were too consumed in their own lives to pay any mind to that crazy, long-haired Bible freak on the street corner. After a heavy dose of OT perhaps you begin to get a bit shell-shocked by the calamity. It just seems so much about doom and gloom and impending destruction on the horizon. But, here at the end of the words of Hosea we catch another glimpse of the true heart of God. It isn’t about punishment or inflicting casualties… it is tenderness and yearning above all else to bless and protect His people. Notice that (once again) we are told that the reason for calamity visiting people is because of sin. It isn’t because God is teaching people stuff or trying to purify them by fire… it is because they have ignored what He said and went their own way into disobedience. The same is true today! Here God is literally giving the people the script to come to Him with in repentance in order to stave off the impending doom. It is like He wants them to pass the test SO BADLY that He is giving them the answers to the test! That is His heart… not to punish or inflict disaster… but to save. “I will heal their faithlessness; I will love them freely, for My anger is turned away from [Israel]. I will be like the dew and the night mist to Israel; he shall grow and blossom like the lilyand cast forth his roots like [the sturdy evergreens of] Lebanon. like [the cedars and aromatic shrubs of] Lebanon. and blossom like the vine; the scent of it shall be like the wine of Lebanon. Notice the words God uses to describe what He really wants to do for His people? Heal – Grow – Blossom – Return – Revive. The Truth could not be clearer! God wants to bless His people… He has always wanted to bless His people. When under the Blessing, people find healing, growth, green, blossom, etc. In fact – even those who dwell under that person’s shade experience the Blessing! With God – fruit is found. Repent – obey – and live under The Blessing. 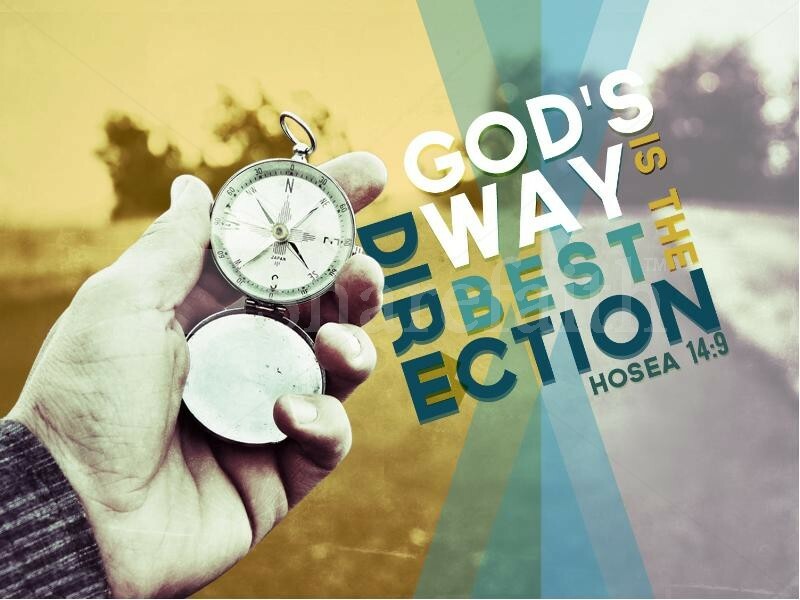 As we enter the section of Minor Prophets – we are first introduced to Hosea. His name means “Salvation” and to understand his mission we must first understand when he is actually ministering. While Daniel was part of the southern section of the Israelite nation (Judah) sent into captivity in Babylon – Hosea is ministering in the northern section BEFORE they were conquered by Assyria. (Note: The Prophets are not in chronological order in the Bible). Hosea’s main mission is to warn the 10 northern tribes of impending judgment due to their sin and rebellion against God. Although a short 14 chapters make up this Prophets teaching, he actually was in operation for over 72 years (based on the length of king’s reigns mentioned in Hos 1:1). So for 70+ years this guy warned, pleaded, begged, cautioned the Israelites to turn back to God and repent. As we shall see – God had him perform some crazy stunts in an effort to get the people’s attention. He told Hosea that she would reject him – break their marriage contract – and go back to her ways of adultery and vile. This was to be an example of what Israel was doing to God. He bought her – paid her contract – yet she was going back to false gods and the world just like an adulterous lover. In chapter 1, Hosea obeys God and buys out Gomers contract. They have 3 children with names that speak much more than just a label. The first, Jezreel, means “God will scatter” and was a warning that God was about to allow His people to be conquered and scattered across the world. The second, Lo-ruhamah, means “I will have mercy (compassion) no more” and the third, Lo-ammi, which means “Not my people”. Three children – three names – three warnings (laid out in chapter 2). In chapter 3 Gomer did just as God said she would. She left Hosea and the children to return to her old life. But God tells Hosea to go and find Gomer, pay off her new contract (again), and bring her back into his home. This is a beautiful example of grace and mercy from the Lord. Israel had sinned, rejected Him time and again… yet He would go and find her, pay her debts, and bring her back to Him. 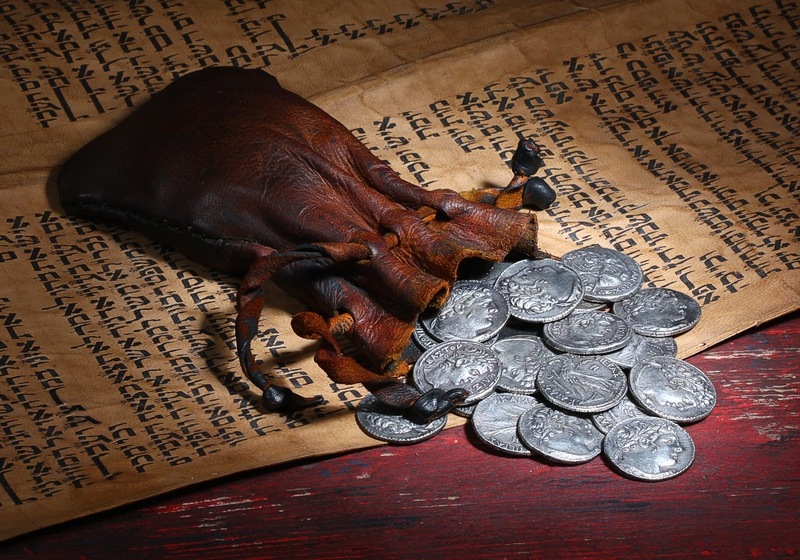 It cost Hosea 15 pieces of silver and a load of barley (3:2). It cost God His Son, Jesus. Sold for 30 pieces of silver (Matthew 27:3). This strange display God had Hosea re-enact was more than a sign for Israel in that day. It is a sign for us as well. Every time someone rejects the Lord’s advances, returns to the world like an adulterous; God reaches out once again. Willing to pay the debt of the new contract. 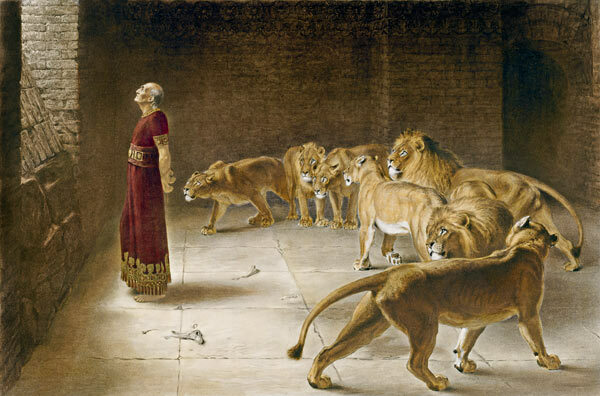 In our modern times there are few who have never heard the story of Daniel and the lion’s den (Dan 6). Sunday school, church plays, children’s book have all recreated this Biblical account in some way or another. Daniel’s circumstances continue to stand (as they have for millennium) as a shining example of faith in action. After the death of Nebuchadnezzar, and the overthrow of the Babylonian empire by the combined efforts of the Medes and the Persians, King Darius the Mede (along with Cyrus of Persia) ruled a massive empire throughout the former Assyrian/Babylonian territory. Unlike their predecessors, Darius/Cyrus had a much different philosophy when it came to treating their captors. (Eventually Cyrus would play a role in releasing the Jewish captives to return to Jerusalem under Nehemiah). Recognizing the gifting and wisdom found in Daniel, Darius the Mede places him in a top-level position in his kingdom. That is what happens when we fully obey God – we prosper. Even as today, the enemy HATES to see God’s people prosper! In modern times he thwarts this plan by creating doctrines and churches that teach God’s people to give up their rights and embrace poverty for supposed spiritual strength, but during Daniel’s day, Satan moves others to jealousy using different methods. Tricking the King into issuing a law against prayer to any other than the king, the jealous princes trap Daniel under his own faithfulness to the Lord. Daniel’s rock-solid confidence/trust that God would take care of him literally prevented him from being hurt in any way. While standing before the open door to the lion’s den – knowing what awaited him – Daniel had no cause to be confident in the situation. But His confidence (his faith) was not in the situation… but in the Lord. The writer of Hebrews would later recall this when sharing a list of the great acts of faith among God’s prophets in Hebrews 11:33. Let this be a lesson for us all. When you find yourself peering into the dark, damp interior of a lion’s den – don’t fear. Don’t quake. Don’t throw your hands up in despair. Stand on what you know about Him. Then “no manner of hurt will come upon you”. Following the lengthy prophecies of Ezekiel, we enter the final (and shortest) major Prophet – Daniel. Only 12 chapters make up this prophetic piece, yet we gain much valuable insight into the millennial reign of Christ and the final days. Written between the early 600-late 500 B.C., this book chronicles the actions of Daniel, a Jewish prince who was taken captive to Babylon by Nebuchadnezzar when he conquered Jerusalem. Right away in chapter 1 we find out that Daniel was a man who feared the Lord. A victim of the sins of a nation, Daniel was placed in an unfortunate situation due to the actions of others. One of the many Israelites who suffered at the hands of the Babylonians, Daniel found favor with God during his ordeal. Verse 4 tells us that Daniel was obviously educated in the science of the day and physically fit, enough to be chosen as a special group to be presented before the king. The outcome of this arrangement would fulfill the prophecy Isaiah gave to King Hezekiah in Isaiah 39:5-7. One minor detail which jumps out in this opening chapter is the names of Daniel and his three companions. In order to enforce submission, it was customary for conquering nations to change the names of captives from their native names to new names in the conquering tongue. Unlike today, names in ancient times meant much more than simply a label. A name represented identity, character, and destiny. Many times the names in the Bible held prophetic insight into the move of the Spirit behind the scenes. In this case, Daniel’s Jewish companions were named Hananiah, Mishael, and Azariah (vs. 6). Each had specific meaning in the Hebrew tongue – centered around the worship of Yahweh God. We are then told that the prince of the eunuchs in Babylon changed their names to Belteshazzar, Shadrach, Meshach, and Abdenego. Daniel (God is judge) was renamed Belteshazzar (Preserve thou his life, O Bel – the chief Babylonian god). Hananiah (Gift of the Lord) was renamed Shadrach (Command of Aku – the moon god). Mishael (Who is what God is) was renamed Meshach (Who is as Aku). Azariah (Whom Jehovah helps) was renamed Abed-nego (Servant of Nego – the god of science and literature). One can only imagine how degrading it would have been to have this foreign king literally change the name of your birth, your heritage, your family, etc. Every inch of dignity was stripped from these captives, leaving them hopeless and broken. (Obviously Daniel hated this new name because he would go on to refer to himself another 75 times by his original Hebrew name throughout his book). One more thought as we progress through this book… Most of us have heard the stories of Daniel in Sunday School or Church, such as the fiery furnace and the lion’s den. 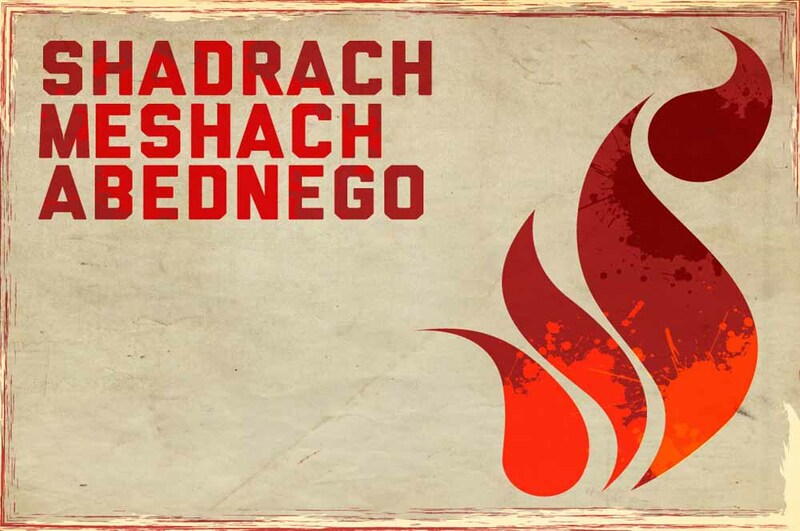 It is interesting that most of us remember Daniel’s three friends by their Babylonian names (Shadrach, Meshach, and Abed-nego)… not by their Hebrew names (Hananiah, Mishael, and Azariah).